That’s just not fair! The deer ate all of our green beans AGAIN! You must not have deer. Your beans look really good! holy cow that’s a LOT of green beans!!!!! Pretty beans! And a good harvest. Our plants are history now, all plowed under. We had bush and half-runner. Did your beans have to be strung too? That’s one reason I don’t like half-runners. I think Larry got converted to bush beans this year. Thank goodness. 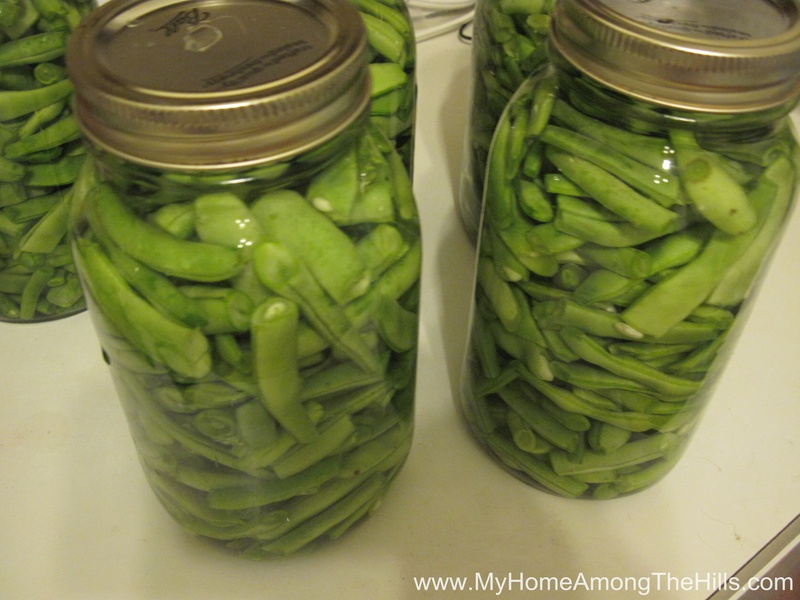 So have you ever pickled your beans? “Dilly Beans” are my wifes favorite, but I think they would be better with a few hot peppers in the mix. 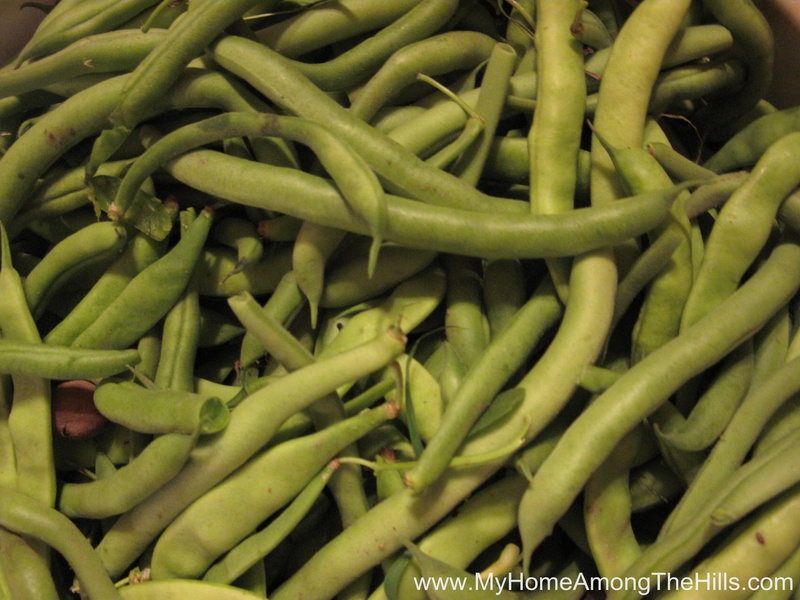 GW – I have had dilly beans and I like them but we never make them for some reason. Like you, a little hot in anything pickled is good for me! I hear ya, we’ve been 90% vegetarian this summer ourselves (although we do have a burger on the grill now and then). Gardening just makes it so easy. 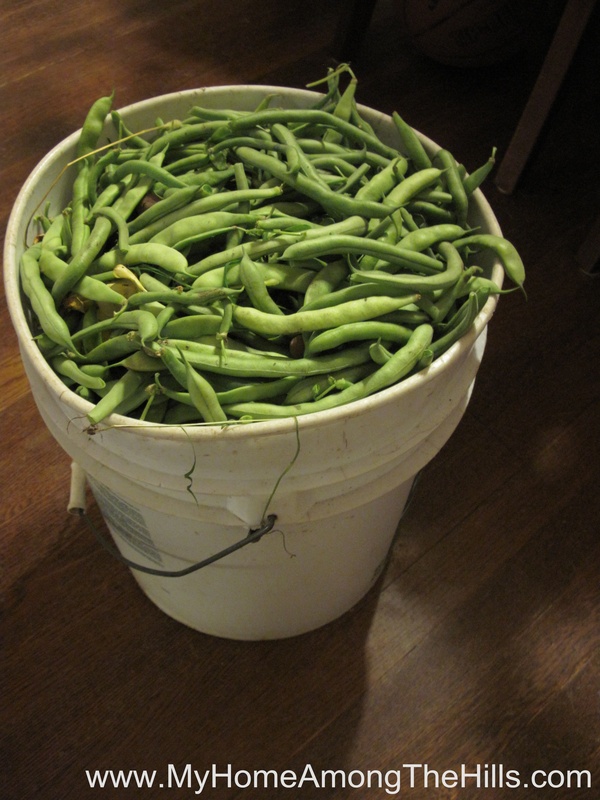 Our green beans did well – we didn’t can any but we did freeze large batches. WOW, have some beans. I have yet to put any up this season but we’ve eaten lots…on our second crop. Some of them we will freeze as my family don’t like canned beans.